EcoPowerSupplies is an independent power protection systems supplier with a wide range of brands and product solutions that can solve power quality problems and protect connected loads from the types of damage that can result from spikes, sags, surges, brownouts, transients, harmonics and off course mains power failures – blackouts. There are many types of power protection system available and these range from basic filters to on-line uninterruptible power supplies and generators. When selecting a power protection system it is important to choose the right level of protection for the power quality problem you are trying to solve. For many users the most obvious issue is a complete power loss and the interruptions this can cause to critical power reliant systems such as servers and IT loads. The only solution in this instance is an uninterruptible power supply. For large comms rooms and datacentres the UPS system may also be installed with a standby power generator. The use of a generator helps to reduce the overall investment and size of the UPS battery system and provided there is fuel available can keep a critical load running indefinitely. Filters: are designed to provide protection from spikes and transient voltages. These fast moving energy spikes can damage the sensitive electronic power supplies built-into IT servers and lead to data corruption. Filters generally clip or suppress the voltages down to safer levels. Power Conditioners: are generally transformer based and provide impedance and/or isolation to spikes and electrical noise. Impedance is essentially a resistance that protects the connected loads from damaging voltages. Power conditioners can also provide voltage stabilization and regulation. A wide input voltage window (+/-20%) allows the power conditioner to operate and provide a regulated output to within +/-1%. Power conditioners can also provide galvanic isolation. Voltage Stabilisers: can be electronic or electro-mechanical using rollers. They operate in a similar way to power conditioners with a wide input voltage window and provide a tightly regulated output voltage supply. The benefit is that they can be smaller and lighter when compared to a transformer based power conditioner and this becomes more relevant and power sizes rise. As a power protection system, an uninterruptible power supply provides the ultimate form of power protection but care has to be taken when considering the UPS topology which can be off-line, line interactive or on-line double-conversion. Each type of uninterruptible power supply will provide battery back-up but its degree of power protection will be very similar to the non-battery back-up systems described above. Once the a product solution has been selected the next step is to assess the load size and electrical connections. EcoPowerSupplies provides this as a free service for UK sites as part of its Power Quality Audits. 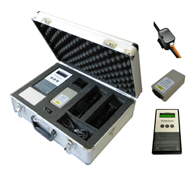 The service includes measurement of the load sizes using a range of clamps and meters which are applied at the nearest distribution box and also by measuring the current draw from individually powered items, including servers and IT peripherals.